PERFECTION 19 YEARS IN THE MAKING. Perfection, no matter how long it takes. That's the Revel way. And that's why it has taken 19 years to bring our unrivaled home audio to an automotive brand with the same uncompromising standards. Revel and Lincoln introduce a unique collaboration that elegantly fuses the art of luxury with the science of sound. The Lincoln Motor Company will be the exclusive automaker to offer Revel and Revel Ultima® audio systems in its lineup of luxury vehicles. THE ART OF LUXURY MEETS THE SCIENCE OF SOUND. Revel’s deep scientific foundation, home theater speaker design heritage and trademark sonic signature — pure, musical and faithful to the original performance — is all integrated into every Lincoln with a Revel audio system without a single compromise. Point Source Architecture maintains the close positioning between tweeters and midranges so that every detail of a song reaches a passenger’s ears at the exact same time and magnitude. POINT SOURCE ARCHITECTURE maintains the close positioning between tweeters and midranges so that every detail of a song reaches a passenger’s ears at the exact same time and magnitude. REVEL WAVEGUIDES built into every door optimize high-frequency dispersion, allowing a seamless blend between the tweeter and midrange speakers. FIELD BALANCING SHORTING RINGS provide increased clarity so you can hear every subtle detail in a song, and reduce distortion to levels well below audibility to the human ear. The result: sound so perfect, so distinctly Revel, you’ll know why it took 19 years. And you can only hear it in Lincoln. 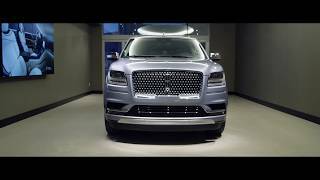 Experience unheard-of depth and detail in the All-New Lincoln Aviator. Revel Ultima 3D featuring QuantumLogic 3D Surround Sound Technology adds new dimension of sound to your in-cabin experience. 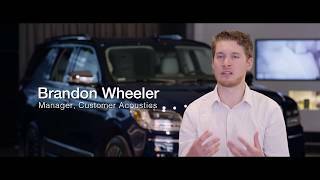 Enjoy fully immersive and acoustic clarity with the available Revel audio system in the Lincoln Navigator. Everything from the trim to the door handle placement was considered and designed from the ground up to ensure sonic perfection. Dedication to Performance, Authenticity and Craftsmanship make the available 20-speaker Revel Ultima system and the available 14-speaker Revel audio system perfect for the Lincoln MKZ. 25mm tweeter and 80mm midrange, two-way center channel in IP. MIDRANGE 80 midrange speakers in front doors. MID-WOOFER 170mm woofer in front and rear doors. SUBWOOFER 6x9 subwoofer rear deck. FRONT 25mm tweeter and 80mm midrange, two-way center channel in IP. MIDRANGE SUBWOOFER 80mm midrange / 25mm tweeter combo mounted on bracket with 6x9 subwoofer on rear deck. Enjoy fully immersive and acoustic clarity with the available Revel audio system in the Lincoln Nautilus. Everything from the trim to the door handle placement was considered and designed from the ground up to ensure sonic perfection. MIDRANGE 25mm tweeter and 80mm midrange, twoway center channel in IP. SUBWOOFER 10 dual voice coil subwoofer. 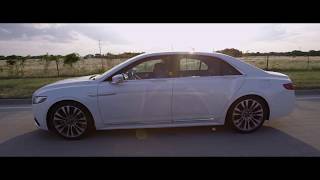 The available 19-speaker Revel Ultima and available 13-speaker Revel audio system are custom designed for the Lincoln Continental to captivate your senses with audiophile quality and breathtaking musical accuracy. Revel and Lincoln share a common legacy deeply rooted in precision craftsmanship. 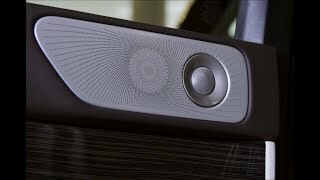 Engineers and designers from both brands worked closely from day one to truly replicate the Revel home audio experience in the Lincoln Nautilus. Everything from the trim to the door handle placement was considered and designed from the ground up to ensure sonic perfection, and a game-changing collaboration. (QLS) Next-generation surround sound technology provides an authentic, multi-dimensional surround sound experience from any source without the residual smearing effects often found with typical surround technologies. An eco-friendly technology initiative, GreenEdge™ combines an environmentally friendly design with dramatic energy savings, all while maintaining premium sonic performance. If you download, stream or play music on a digital device, your music is digitally-compressed. Compression can remove up to 90% of the audio details originally recorded in your favorite songs – so you're left listening to a reduced version of the real thing. Clari-Fi music restoration technology brings music back the true sound of your music. Maintains the close positioning between tweeters and midranges so that every detail of a song reaches a passenger’s ears at the exact same time and magnitude.